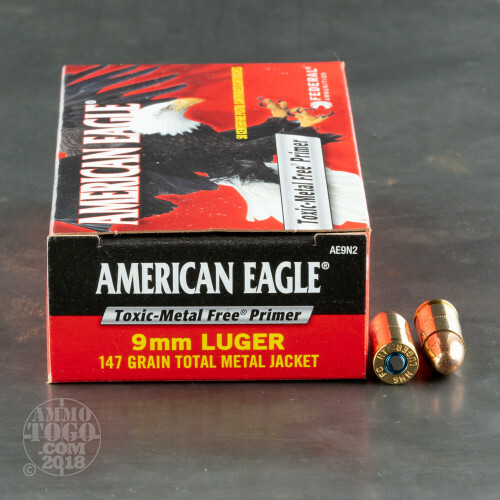 This affordable 9mm Luger (also known as 9x19 Parabellum) ammunition is manufactured by Federal American Eagle at the Lake City Ammunition Plant in Independence, Missouri. 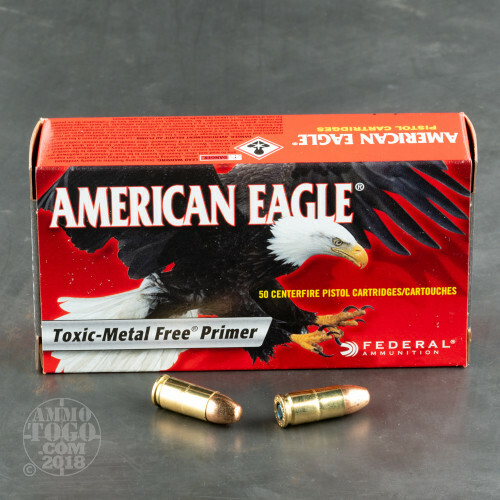 Perfect for high-volume indoor practice, Federal American Eagle Indoor Range Training (IRT) ammo features primers that contain no toxic metal. Each factory fresh cartridge is loaded with a 147 grain reduced-lead total metal jacket (TMJ) projectile fully encapsulated in copper. This design minimizes lead exposure to provide cleaner shooting and safer indoor ranges. Each round produces a muzzle velocity of 960 feet per second and a muzzle energy of 301 foot pounds. 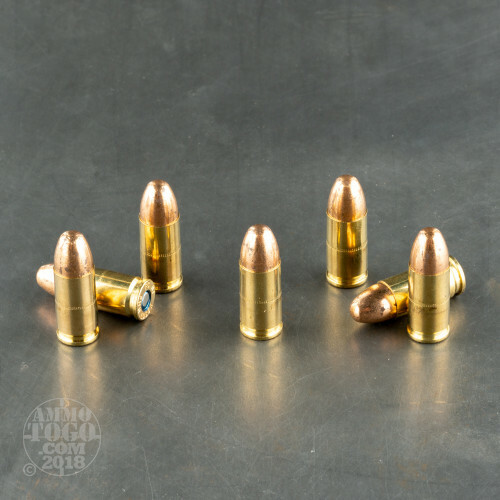 Providing ballistic performance equivalent to most standard duty rounds, this ammo offers realistic training for real world situations. 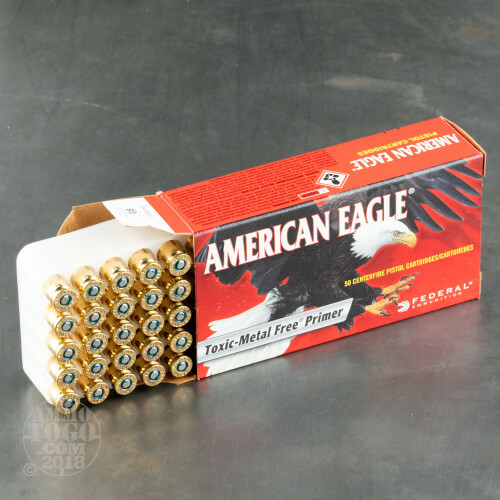 This ammunition is non-corrosive and brass cased. Each package contains 1000 rounds packed in 50-round boxes.